The Mag Rag: It's beginning to look a lot like . . .
Love the pendants with your angels in them! I know just what you mean about the sparkle. I crafted with my Grand one day and vacuumed glitter for weeks afterward - lol! 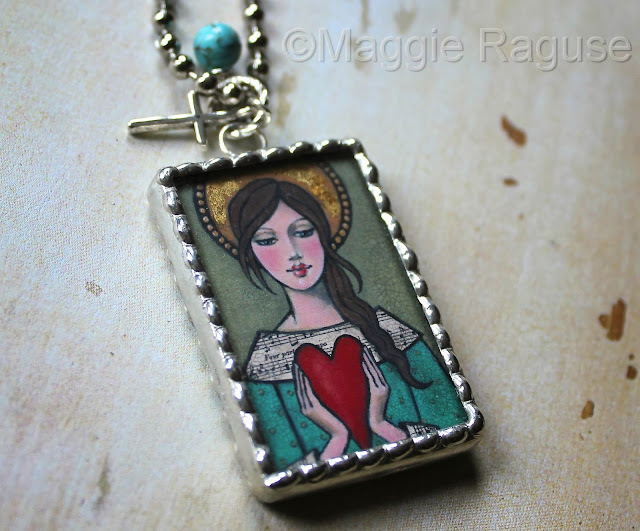 Your jewelry is gorgeous, love the idea of using your pretty angel paintings. Hope you have a wonderful visit with your daughter. glad to hear you got to see your little girl for the Christmas!! hope you are having a blast...merry Christmas and joyous new year to you and your family!! Beautiful jewelry. 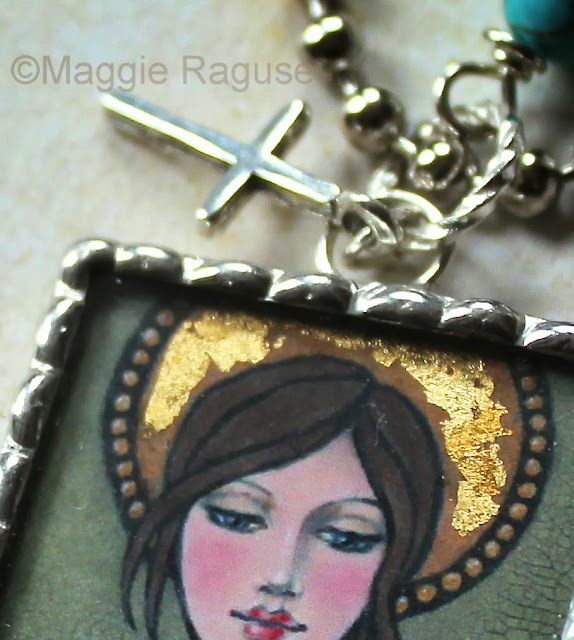 I love the effect the gold leaf gave to your angle.